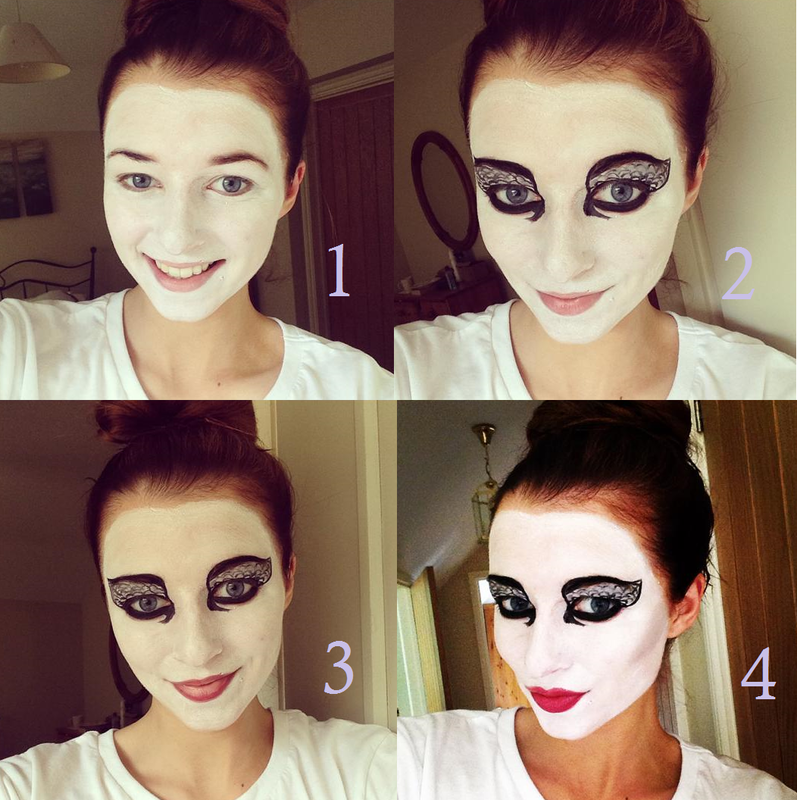 Step 1: Use a white face paint to apply a white foundation base. Step 2: Using the Cream Eye Liner on my Real Techniques Accent brush and Fine Liner brush, I created a thick black line under my eye and then drew upwards using my eyebrows as a guidance. I then flicked out to create the edge of the wing, and then brought it back down towards the end of my water line. I then created the ‘feathers’ by creating random half circles in the centre area. I left it to dry for a good few minutes before applying silver/grey eye shadow from the 100 Piece Eye Shadow Palette to create a smokier effect. As an added bonus, I drew black (almost claw like) lines from my tear duct down. I thought that this made my eyes a little more Halloween like. Step 3: Using the Lip Stain, I lined my lips before applying the lipstick. This almost looks quite ‘ombre’, so leaving it like this would be fine if you like it lighter. Step 4: To finish, apply the Mineral Lipstick in colour Rich Raspberry to create a darker effect. Then using a dark eye shadow from the 100 Piece Eye Shadow Palette (I used a dark grey), contour in your cheek bones (smudging it in with your finger tips) to add definition. Don’t worry I’ll show you my complete outfit after Halloween! You can also check out my other Halloween looks by clicking here. Will you be going out as the Black Swan this Halloween? Keep your eyes pealed- new blog prize give away coming soon!